This page is to help APDEM members navigate the new APDEM MemberConnect, which may be accessed by clicking the button above or APDEM MemberConnect. Through our partnership with the Endocrine Society, we are able to offer a more robust member experience that allows for real-time interaction and discussion. 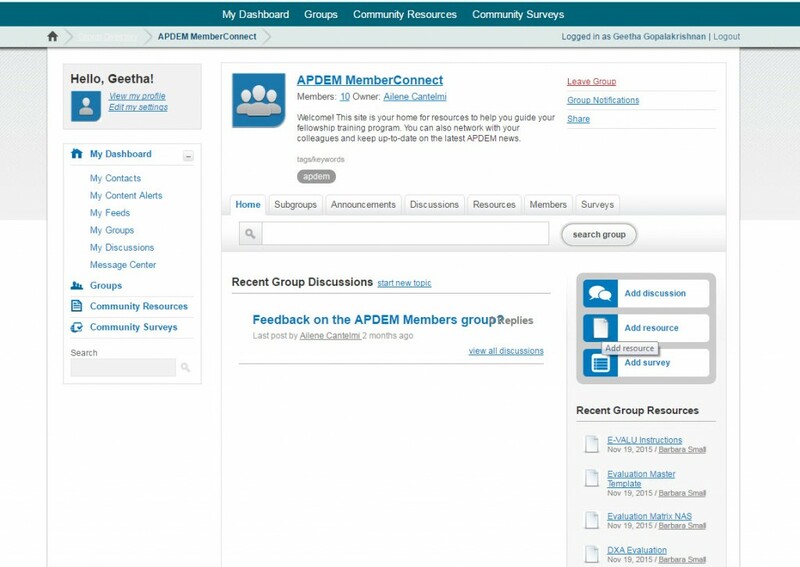 To access APDEM MemberConnect, you will need to login using your Endocrine Society login information. Please contact APDEM Staff at (202) 971-3706 or apdem@endocrine.org if you need assistance with your login credentials. 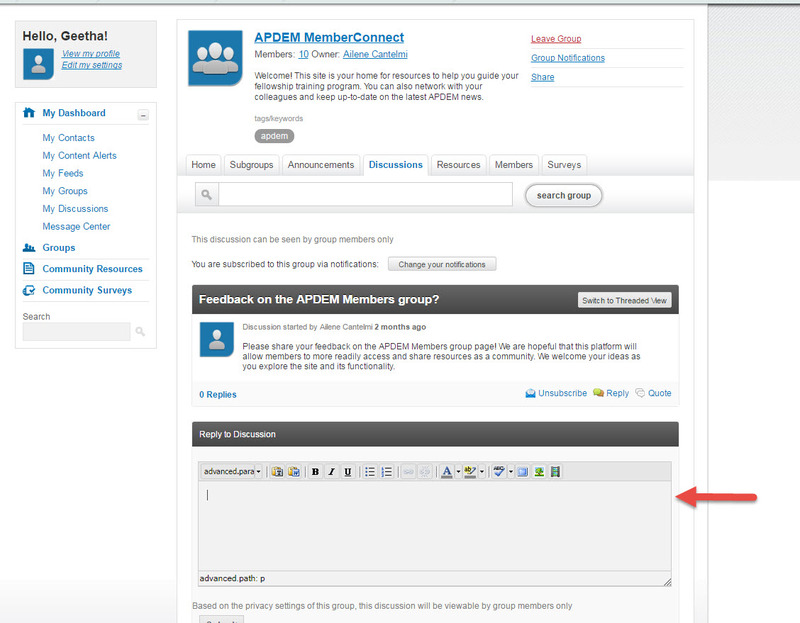 The first time you log in, we recommend updating your Group Notifications. Updating your notifications allows you to control the frequency of updates you receive for APDEM MemberConnect. 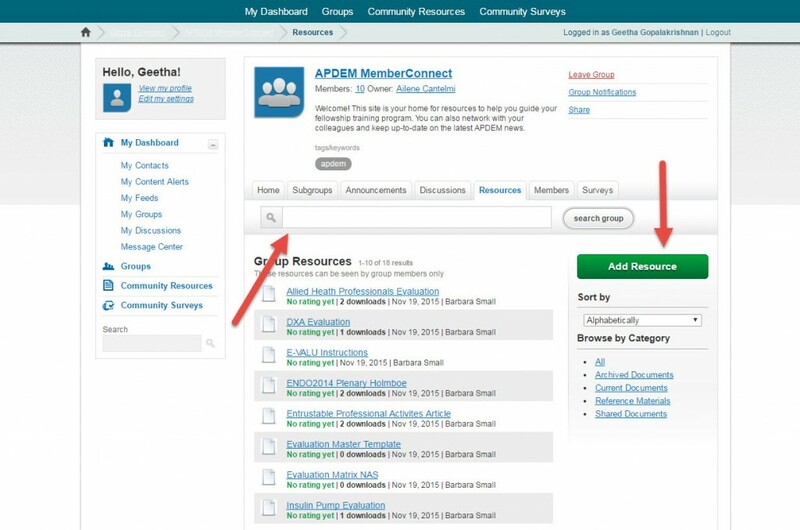 The Resources section lists all of the documents previously posted to the Director’s Tool Kit and allows members to upload resources to share with the group. 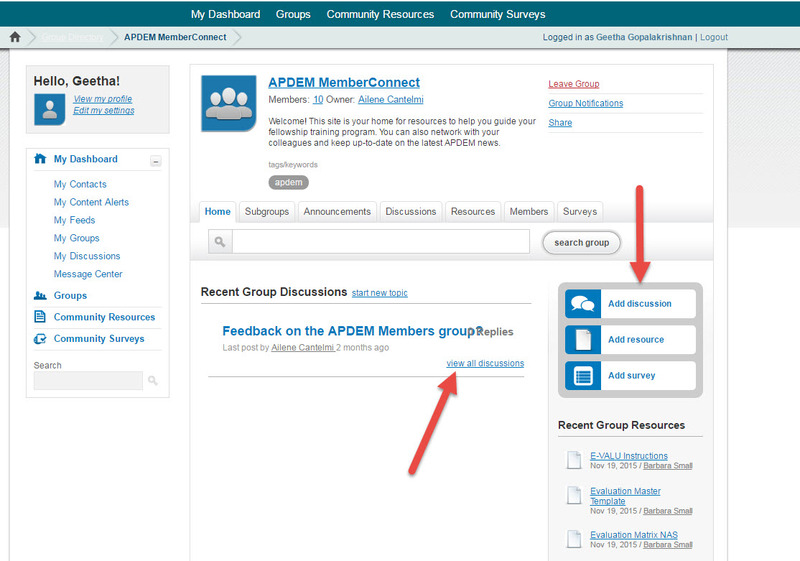 The discussions section give the opportunity post a discussion topic or question to the group and to add comments to existing discussions. 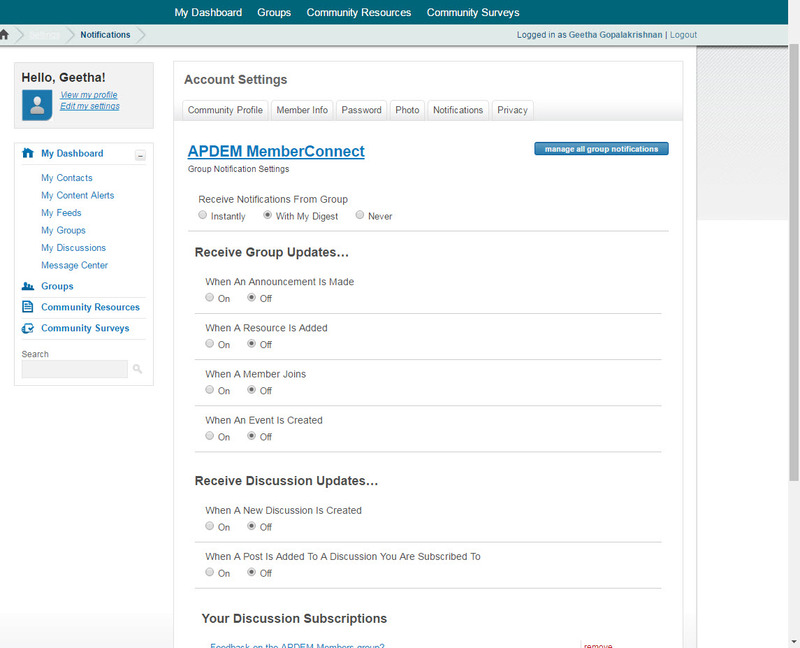 We welcome your comments about APDEM MemberConnect. Please email us at apdem@endocrine.org.